Keeping your home cozy, comfortable and environmentally friendly is easier and more affordable than it used to be. Not only can you lower your carbon footprint, you can also save money in the long-run and increase the value of your home. A geothermal home heating system is not cheap to install. However, it can reduce your home energy bill by up to 80 percent. Geothermal energy comes from the heat stored in the earth. All these systems do is relocate that heat throughout your home. Installed pipes carry heat from underground and pump it through your home’s fan system. With geothermal, you are not generating heat, you are just changing its location. As a result, no fossil fuels are burned. Installing a geothermal system in your home will run you an estimated $25,000. This price tag is a bit too hefty for many people. Still, the estimated return-on-investment is anywhere between two and 10 years, depending on how much energy you use. The lifespan of the total system is more than 50 years. You may only need to replace the pump every 12 to 15 years. Most “passive buildings” are in Europe, with an estimated 15 to 20,000 designed this way. Experts beliee they are gaining popularity elsewhere. If you are in the process of designing your home, a passive solar heating system might be worth taking a look at. The system’s efficiency will depend on how much sunlight your property receives. With a passive solar heating system, you must design your house with windows facing just the right direction to get heat from the sun. The heat is then absorbed and released by thermal matter within the home. In contrast to passive solar heating systems, active solar heating systems convert solar energy into heat and electricity, which is then used to heat your home. Unlike passive solar heating systems, active solar heating systems are easily installed on most houses. These days, most installers focus on solar installations that plug into the power grid. This means most solar panels are not used to power the homes they are attached to. Rather, they are feeding energy into the community power supply. People using solar panels as an active solar heating system, on the other hand, get to keep all that energy use in-house (literally). While less frequent, these systems are used for those looking to remove themselves from the grid altogether, or for people who like the idea of being energy independent. The cost for an active solar system depends on the size of your home and how many solar panels you need. Many companies are now trying to reduce the solar panel investment that homeowners are required to make, including Elon Musk’s SolarCity. The company now offers lease programs that require no upfront investment. Biomass wood pellet boilers have been growing in popularity in Europe, now with over one million units sold. The boilers themselves are small and can be installed in most homes without much fuss. They require more maintenance than traditional systems, however. You must feed pellets to the boiler weekly and clean the parts every one to two weeks. You can save 60 percent on your home energy bills and eliminate fossil fuels with a wood pellet boiler. The initial investment is $3,000 to $4,000. The boiler’s lifespan is approximately 20 years, making it a sound investment for anyone who doesn’t mind the increased maintenance. Biomass burners do not require fossil fuels, however, there is still some controversy. Technically, wood is a renewable resource, but only if managed correctly. This means for your wood pellet boiler to be an eco-friendly heat source, it requires pellets from sustainably sourced wood. Enviva Biomass advertises that all of its wood pellets come only from areas where trees are growing faster than the rate at which they are being harvested. The company LacWood makes wood pellets from the leftovers of lumber from sustainably managed sources. You might have to do a little bit of a background check on your local supplier. Chances are, you can find sustainably sourced wood pellets nearby. So long as the wood you use is sustainably sourced, wood pellet burners are an excellent way to eliminate fossil fuels from your home heating system. 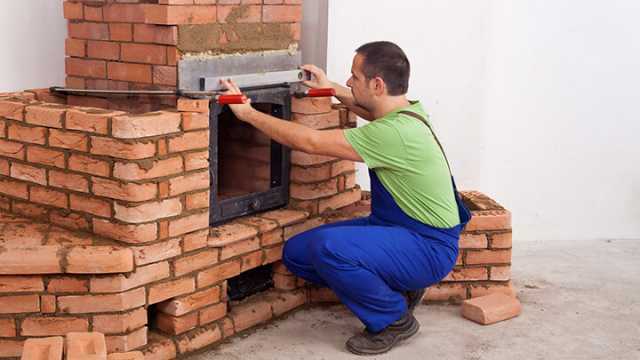 Masonry heaters are a very efficient and old-school way to heat your home. They trap the heat from burning wood inside smoke chambers. Then, they release heat over the course of 12 to 24 hours. Masonry heaters can burn any type of wood. Like pellet stoves, you must source sustainable materials to make it truly an environmentally friendly heat source. Masonry heaters can run anywhere from $2,000 to $5,000. Depending on how much you’re willing to spend, an expert can design a custom masonry heater to fit your home and create a cozy ambiance. Do keep in mind that these are very high maintenance. These puppies require daily attention to ensure your home will have heat for the next day. Filling a home with environmentally friendly heat can be challenging. Many of the options discussed here require a hefty upfront cost, but all of them result in long-term savings and a reduced impact on the planet. Previous articleWhat Is The Gaps Diet And Does It Work? Hey Buddy!, I found this information for you: "Stay Warm This Winter: Try These Environmentally Friendly Heating Options". Here is the website link: https://www.thealternativedaily.com/environmentally-friendly-heating-options/. Thank you.